OK so i have been beyond bad, so one of the things i want to do is revive my blog so lets see how far i get this time around! Here is a 5 X5 card I made for a challenge and I was driving down the road before I forgot I had not taken a picture of if! This was my first5 x5 card!! 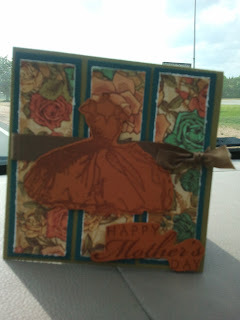 I love my steam punk paper by Graphic 45!! Got to love it! !